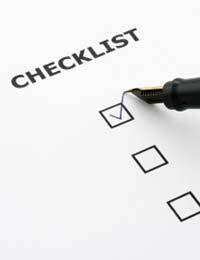 Home > Marketing > Marketing Checklist: Will it Sell? Selling a new invention is a specialist activity. Nonetheless, there’s no reason why an inventor shouldn’t become involved in marketing. After all, the better an invention sells, the greater the business interest in future ideas. Use this checklist to see whether your business or licensing company is using every means to sell your invention. Some sales techniques may be more suited to your invention than others, of course; but in marketing you have to look at every angle. Please note that if you consider but reject some of the items on the checklist, ensure you have good reasons for the rejection. There should be a marketing budget in place with accurate figures for each part of the marketing process. If you need help creating a marketing budget, consult an accountant. Consider using a brand name for your invention. Brand names are useful marketing tools – look at the success of Virgin, for example. Brand names can create brand loyalty among customers and make the sale of future products easier. It can be helpful to pass a media kit to any journalist who makes enquiries about your invention and company. The media kit can contain product details, your biography, company history, and even a product sample, if appropriate. Market research can tell you how successful your invention is likely to be, and if you need to make some changes. Although market research essentially consists of asking questions and collating replies, it may be best to contract a specialist to do this. A good market research company knows who to target and exactly how to phrase questions. Inventors and businesses sometimes neglect product evaluation. Evaluation tells you, however, how much your product will cost to produce, and how much you need to sell it for to cover additional costs and make a profit. In the marketing context, product evaluation can therefore help you decide how much money you can use for sales and promotion. Public relations companies can launch and promote your invention to gain it maximum media and public exposure. It can be worth talking to PR companies to see what they can do for you. The nature of your invention may dictate the advertising media you employ. Consider advertising with the following. Product placement is particularly effective for general consumer goods, especially when linked to a brand name. Generally speaking, it involves placing your product in the public eye by sponsoring conferences, radio shows, TV programmes, and even films. On TV dramas and films, your product may also appear in some camera shots. Running a stand at a trade fair or industry conference is a good way of promoting your invention, and networking with possible wholesalers, retailers, and consumers. Always consider the possibility of selling abroad. You need to address issues such as currency differences, export regulations, and local laws; nonetheless, the UK government can give expert advice. Contact the Department for Business, Enterprise and Regulatory Reform (BERR). Ensure that your advertising focuses on the benefits of your invention. The benefits are what potential buyers want to read about. They need to know what problems your invention solves, and what it can do to help them. Marketing, like other aspects of business, needs a flexible approach. If sales are poor, those responsible for marketing your invention must respond quickly and positively. Consider using promotional offers for your invention. You don’t need to reduce the price – you can add something free of charge, for example. If you think a promotional offer is worth looking at, try testing it first with some market research. A marketing plan focuses attention on how to sell your invention. It should also encompass every relevant point made on this checklist. Your local business advice centre may be able to give you assistance with creating a marketing plan if necessary.